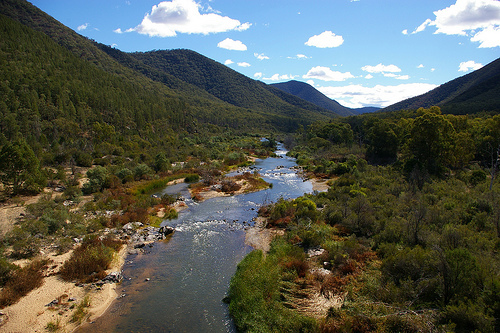 The Upper Murray River lies is a relatively remote area, due to the ruggedness of the mountainous terrain. It is also an area famous for high quality cattle, and where the legend of the stockman, “Man from Snowy River” , was made famous via written poem, song & movie. Australia’s greatest engineering success also occurred in the region, with the Snowy River Hydro Electric Scheme, where a vast civil project was undertaken between 1949-1974, to harness this great natural water flow from the mountains to make hydro-electricity, and direct water flow for irrigation farming.